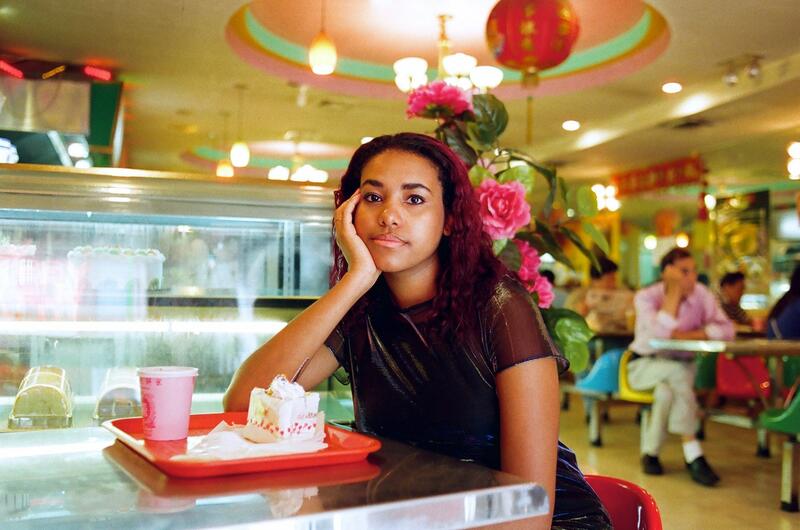 The progressive photojournalist documenting the daily plights of women worldwide. 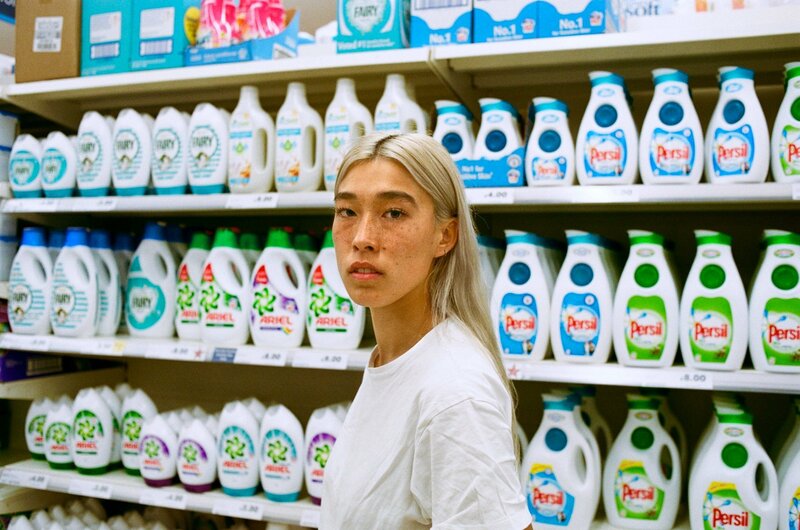 In January 2017, London-born Hatch started photographing friends in places they’d experienced sexual harassment — from tube platforms and buses, to markets and busy streets — and posting them on Instagram alongside candid accounts of the incidents. Soon others were approaching her with similar experiences of being catcalled, touched up, exposed to, or told to “Cheer up, love – it might never happen!” (Cue wry smiles of recognition from every woman in the room/world.) @CheerUpLuv became a safe space for women to exchange stories of being violated, reframe them on their own terms, and reclaim the public areas where they took place. (LEFT) Eliza Hatch wearing t-shirt NAPA by MARTINE ROSE, blazer and trousers JOSEPH, socks FALKE, shoes YUUL YIE. 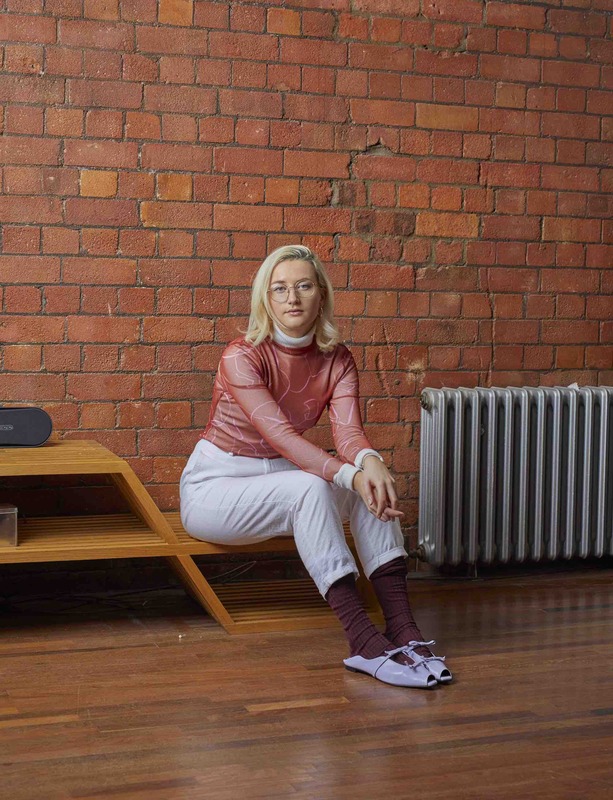 Eliza Hatch wearing t-shirt NAPA by MARTINE ROSE, blazer and trousers JOSEPH, socks FALKE, shoes YUUL YIE. 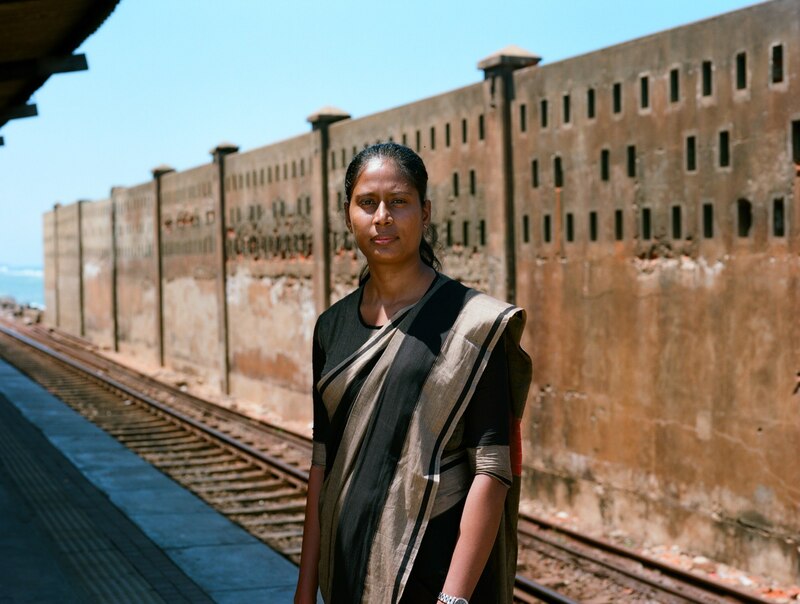 As her platform grew Hatch was contacted by UNFPA, the segment of the United Nations that deals with gender-based violence, and in September 2018 they flew to Sri Lanka together to produce “Don’t Look Away” , a multimedia project telling stories of harassment through social media and bus stop posters in the country’s capital, Colombo. With sexual assault still deeply shrouded in stigma, fuelled by victim blaming and shame, the campaign was considered deeply radical in Sri Lankan society — they struggled to find just 16 participants — and started conversations Hatch hopes will form the foundations for long-term change. Their partnership will continue to develop in other cities worldwide, next destination: Mexico. Sometime next year, she’d like to honour and immortalise the photo series with a comprehensive book. Of course, Cheer Up Luv has been met with significant backlash, both abroad and within the UK. Though Hatch ignores the nauseatingly bitter comments online — most of which are directed towards her 2017 feature on BBC News — she responds to email attacks with detailed replies. “The people I want to reach are the people who have a problem with it, or people who see it as problematic. You don’t want to be just shouting in an echo chamber of people agreeing, ‘This is terrible, this is terrible.’ You want to be talking to people who think it’s OK,” she says, emphasising that though it seemingly operates in a virtual space, Cheer Up Luv uses confrontation and conversation as tools to incite change in real-time.